There have been various reports regarding the launch of the OnePlus 5T. While some reports mentioned that the company may not launch the device, some others mentioned that the device is very close to its launch. 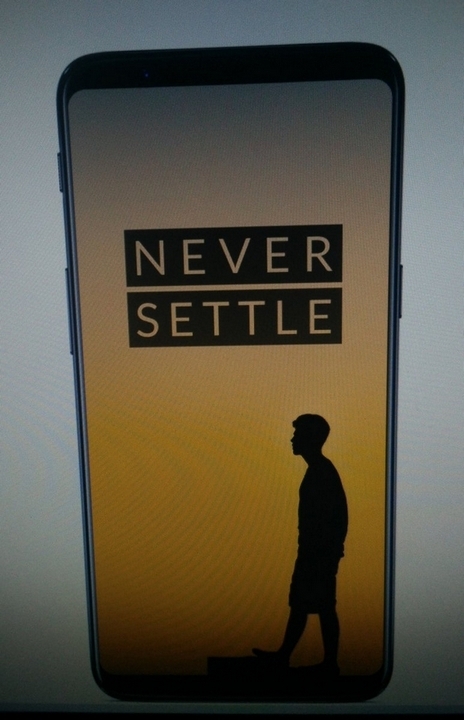 The latter have been proved correct and the device has been spotted on OnePlus’s website. The images posted by Chinese site My Drivers contains images of the device listed on what looks like the company’s official website. The images have revealed the front design of the device but we can’t see the back. While the images are not clear, it looks like the fingerprint sensor has been removed from the front. 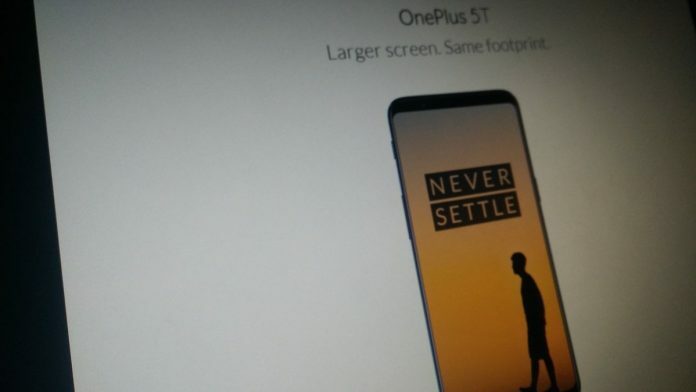 This somewhat confirms the earlier leaks which indicated that the fingerprint sensor will be placed on the back of the OnePlus 5T. The listing of the OnePlus 5T comes with the tagline. “Larger Screen. Same Footprint.”. This indicates that the overall dimension of the device will remain same and the company has reduced the bezels considerably. The image also reveals that the OnePlus 5T will come with an 18:9 aspect ratio display. Apart from this, we may not see any other substantial change in the device compared to the OnePlus 5. Qualcomm has not announced the successor of the Snapdragon 835 so we will not get a new processor on the OnePlus 5T. We expect the 5T to come with IP68 certification, something that the OnePlus 5 missed on.